Nancy Jean (Hartley) Cooper, 82, of Liberty, died peacefully in her home on Tuesday, June 5, 2018. Born December 26, 1935 in Middleport, Ohio, she was the daughter of Homer and Eva (Faulkner) Hartley. Mrs. Cooper graduated from Middleport High School and the Holzer Hospital nursing school. She met Henry Cooper on a blind date, and the two were married in 1957. Mr. Cooper’s early career with the Marine Corps took the couple to Cherry Point, N.C., where their first son, David, was born; and then to Orange County, Calif., where their second son, Doug, and daughter, Janet, were born. After the Marines, Mr. Cooper’s career as a chemist took the family to 10 cities, including Ashland, Ky.; Parma, Ohio; La Grange, Ill.; West Chester, Penn. ; and finally to Liberty, Mo. in the 1980’s. 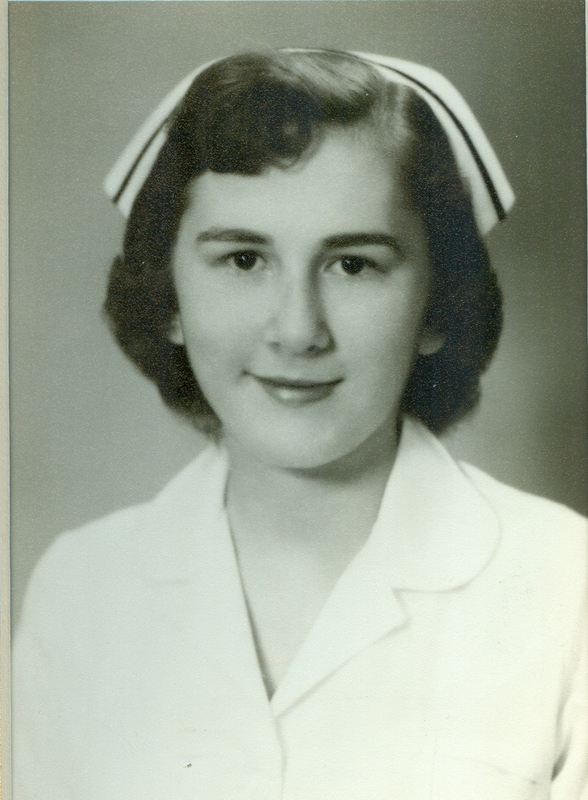 Through all the travels, Mrs. Cooper served as an amazing nurse, including stints at various V.A. hospitals, and in Kansas City at Liberty Hospital, North Kansas City Hospital, MAWD Pathology Group, and the Saint Luke’s hospital system. In addition to her parents, Mrs. Cooper was preceded in death by her son, William Douglas “Doug” Cooper; her sisters and brothers-in-law, Sara Daune Owen and Richard Owen, Ida Lee “Bush” and Jim Roller, and June and Owen Cantrell; and brother-in-law, Johnny Cooper. She is survived by her loving husband, Henry Cooper; son, David (Suzanne Zefferi) Cooper, Morrisville, Penn. ; daughter, Janet (Michael) Michael, Kansas City, Mo. ; granddaughter who was raised by Henry and Nancy, Jessica (Tony) Martin, Kansas City, Mo. ; granddaughters, Brenda (Josh) Florence, Downingtown, Penn. ; Melissa (Tony) Carrodo, Millersville, Penn. ; and Amanda Kimberling, Kansas City, Mo. ; grandsons, Douglas Cooper, New York, NY; and Christopher (Abbey) Kimberling, Bolivar, Mo. ; nine great-grandchildren, Brianna Martin, Alena Carrodo, Madalyn Hilmer, Roman Zavacki, Rocco Carrodo, Merritt Zavacki, Ceci Carrodo, Peter Hatcher, and Elliana Kimberling; a cousin, Maude Pearl Watson, Huntsville, Ala.; and several nieces and nephews. Visitation will begin at 6:00 pm, followed by a memorial service at 7:00 pm, on Friday, June 8, at Park Lawn Northland Chapel, 1640 North State Route 291, Liberty. A graveside service at the Riverview Cemetery in Middleport, Ohio will follow at a future date. In lieu of flowers, the family asks for donations to Compassionate Care Hospice, 14500 East 42nd Street South, Suite 232, Independence, MO 64055.